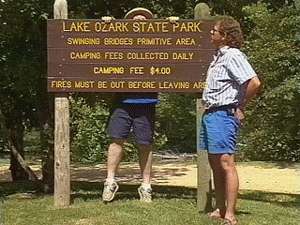 Lake of the Ozarks State Park is the Largest State Park in the state of Missouri with about 17,000 acres. 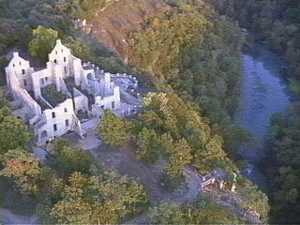 Ha Ha Tonka State Park is the newest State Park in Missouri purchased in 1978. 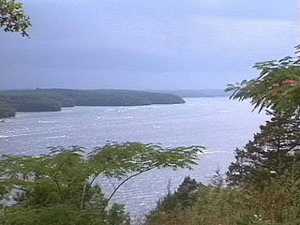 It comprises about 2,400 acres on the Niagua Arm of Lake of the Ozarks. Pack a picnic, enjoy swimming on sand beaches, horseback riding, hiking trails, mountain biking, a boat trail [A free booklet available at the Park Office explains the significance of each of the 14 marked shoreline highlights.] and generally speaking the wonders of Nature.